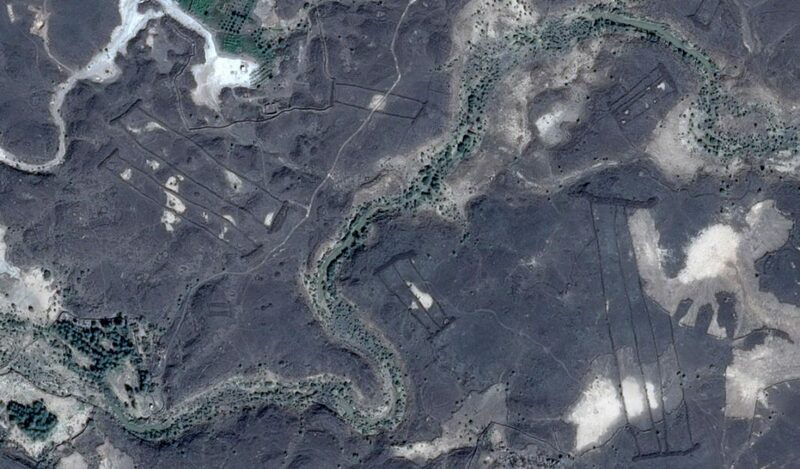 Almost 400 strange stone structures have been discovered in the Saudi Desert via Google Earth by an Australian researcher. David Kennedy, an Australian researcher, whose team has already discovered thousands of archaeological sites in the Middle East, is the man who located the mysterious structures. It is thought that the ‘gates’ were constructed between 2,000 – 9,000 years ago, however their purpose or function is still a mystery. The structures are actually only visible from far above. “You can’t see them in any intelligible way at the ground level but once you get up a few hundred feet, or with a satellite even higher, they stand out beautifully,” said Kennedy. Their discovery came about by chance, after a Saudi doctor who had an interest in the areas history made contact with him. “He said ‘I’m interested in the heritage of my country, I’ve spotted on Google Earth that there are some rather strange structures in the lava fields’,” Kennedy told broadcaster ABC.